The day started out pretty much the same as yesterday: up early to fight our way to the breakfast table, and a 7:30 departure back into the park. 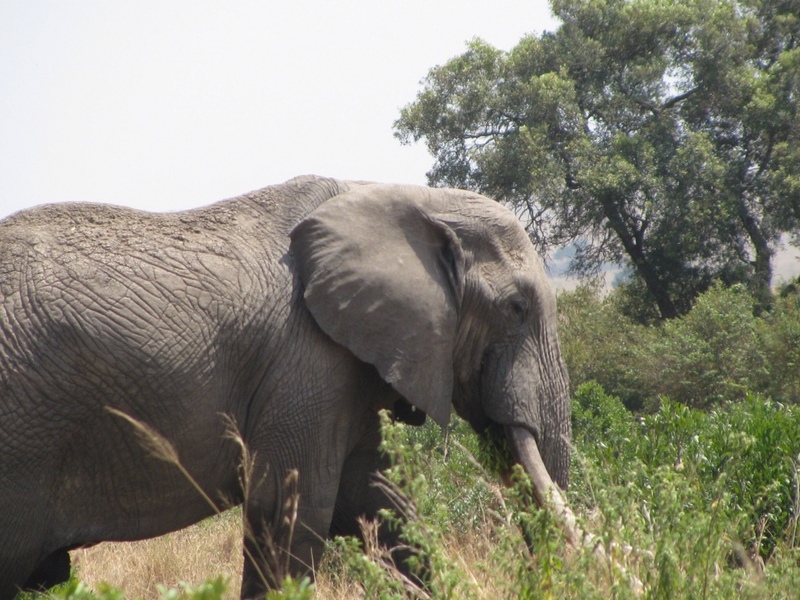 We took a different route through the park this time, in search of some more big cats and larger herds of elephants. 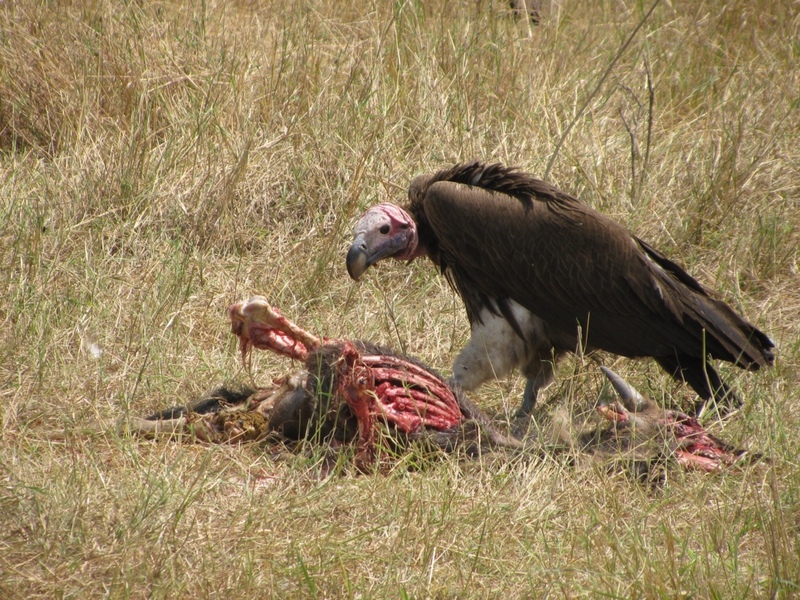 We did see a couple more lions eating the last of a wildebeest before beginning their “honeymoon,” an intense week of mating. 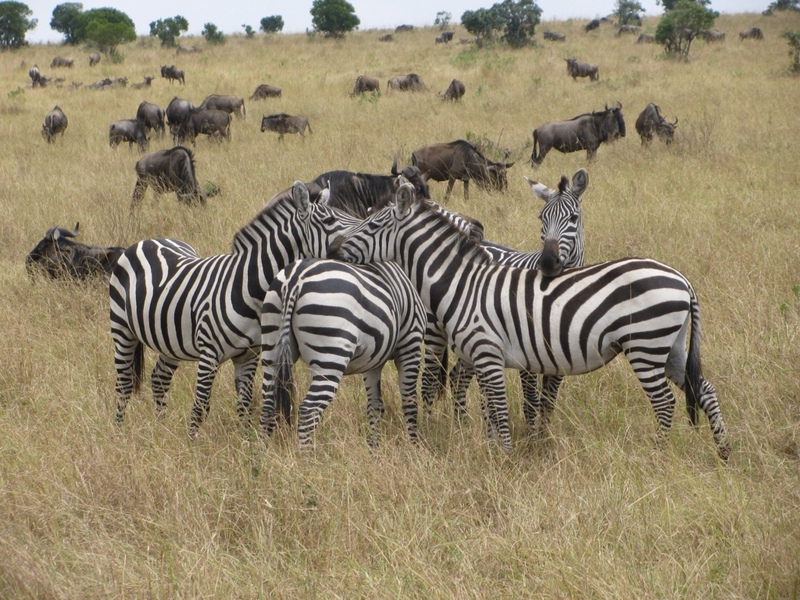 I think there were more zebra and wildebeest on the hillsides than yesterday, as far as the eye can see. We rode and rode and rode, not really finding much. We did come across a lone bull elephant and got very close for pictures. 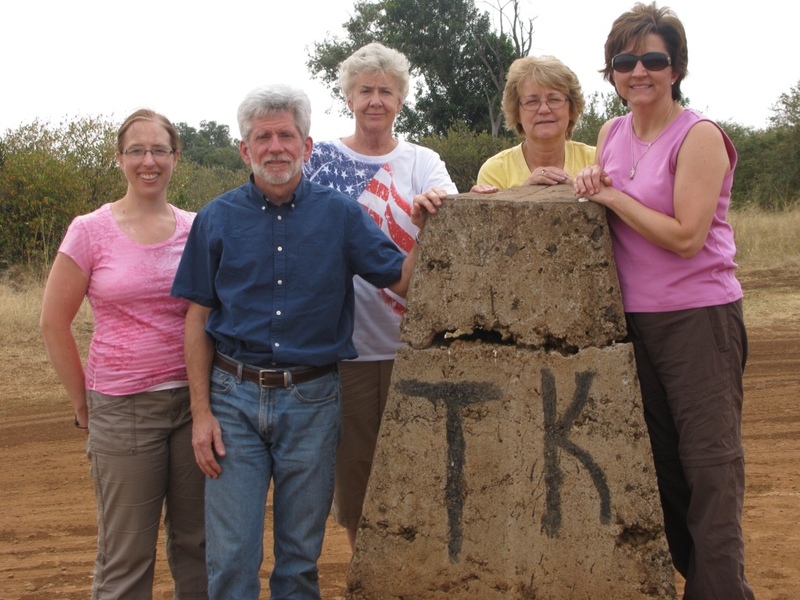 Then we drove all the way out to a place where the borders of Kenya and Tanzania come together and we all stood in both countries simultaneously. Driving just a little ways into Tanzania, we did a short walking tour down to the Mara river where we could see two large families of hippos. Hippos are very dangerous animals, coming out of the water at night to feed, so you only go to see them in the afternoon, when they stay in the water to keep cool. A armed guide took us down the river to see them and assure our safety. 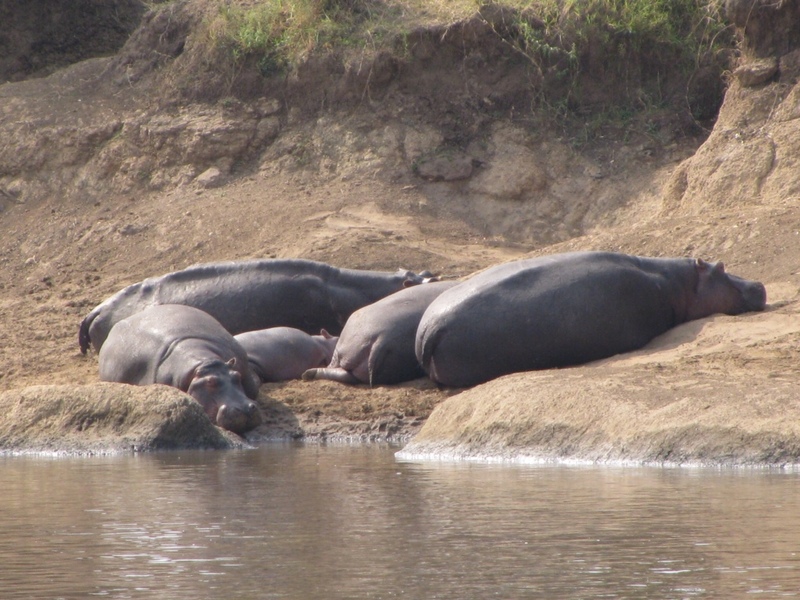 The closer we got, the more the hippos bellowed, letting us know we were close enough. Walking the other way up the river we saw a few crocodiles sleeping on the bank and some monkeys playing in the trees. 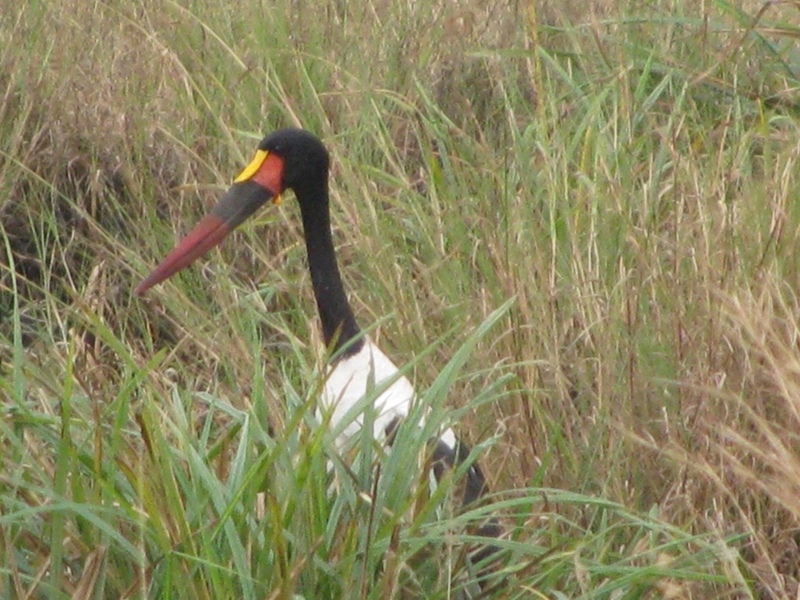 Great sightings! 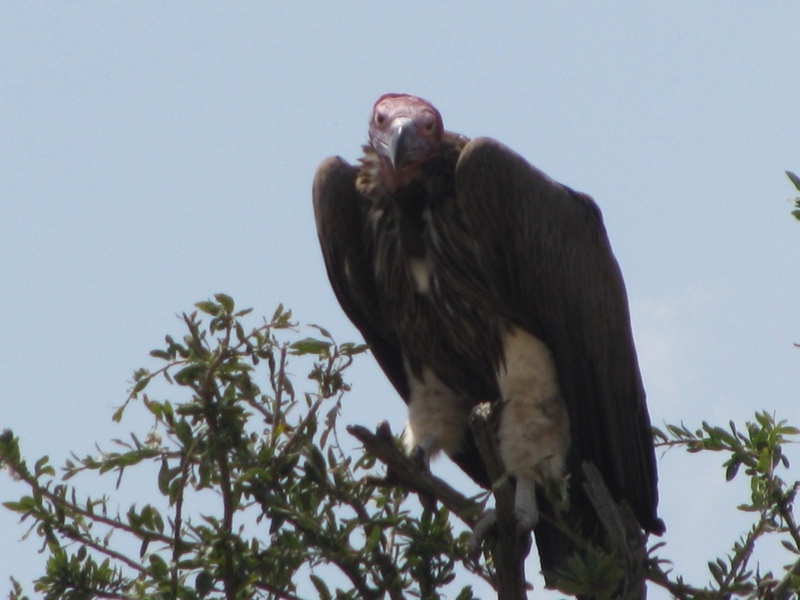 Back in the vans, we drove and drove and drove, stopping periodically to view some vultures, giraffes and wildebeest. 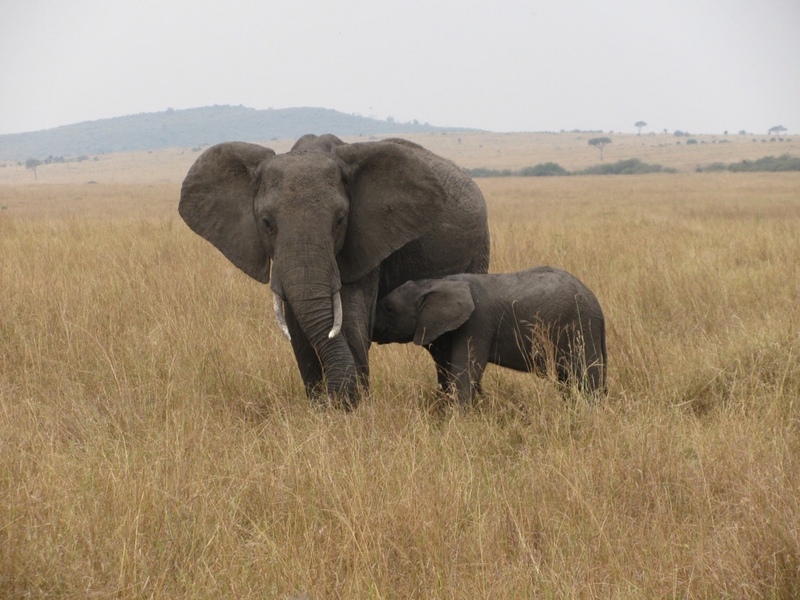 Finally, just toward the end of the day, we saw three elephants with a baby who was nursing. It was a nice way to end the day.